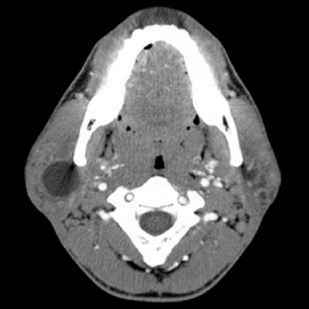 With the advent of modern structural imaging techniques such as computed axial tomographic imaging (CAT), and magnetic resonance imaging (MRI), and even newer functional imaging techniques such as positron emission tomography (PET) and functional magnetic resonance imaging (fMRI), the use of neuropsychological assessments to identify the location and type of CNS lesion has waned. y M y However, because they identify and quantify both cognitive strengths and deficits, neuropsychological assessments are widely used in current neurological practice. [9 Indeed, the Therapeutics and Technology Assessment Subcommittee of the American Academy of Neurology rated neuropsychological assessments as an established adjunct to neurological examinations. Most referrals for neuropsychological assessments are made in five specific domains: patient care, rehabilitation, educational planning, forensic issues, and treatment outcome analyses. Patient Care. The largest number of referrals for neuropsychological assessments involve issues of patient care. Neuropsychological examinations are particularly informative for conditions in which neuroimaging results and other laboratory findings are not informative. For example, testing is often requested to assess the cNs effects of toxic exposure, mild head injury, dementing conditions, and in differentiating psychiatric conditions from neurologic illnesses. Neuropsychological data can provide valuable information for the identification of these processes as well as the extent of resultant CNS damage. Neuropsychological examinations may also be used to characterize the patient's current levels of cognitive and emotional functioning in association with a known or suspected CNS process. Often these data are used to monitor changes in the patient's neuropsychological status across repeated examinations, y so the effect of various treatment interventions on cognitive abilities can be assessed. Additionally, since neuropsychological assessments provide detailed information on both intact and impaired abilities, these assessments are useful for providing medical staff and family caregivers information on the patient's strengths as well as deficits. This information is particularly helpful in coordinated efforts to help the patient and family adjust to a given condition and make plans. A newer application of neuropsychological examinations to neurologic care is the use of screening examinations. In contrast to a full neuropsychological examination, which typically requires from 3 to 12 hours of testing, screening examinations usually require less than 1 hour. A typical screening examination will test functioning in attention, orientation, short-term and long-term memory, expressive and receptive language abilities, abstract reasoning, and intelligence. Although these shorter examinations do not provide the depth of information that a full neuropsychological examination provides, they still provide basic information on the integrity of each of these abilities.y The data from screening examinations are particularly helpful in identifying patients in need of full examinations. Another purpose of neuropsychological assessment in patient care situations is to assist in the differentiation of psychiatric from neurological illnesses. Often a patient will present with a neurological complaint that does not clearly follow accepted pathophysiological principles. The presentation may be as obvious as functional blindness, but can be as subtle as memory loss owing to severe depression. Neuropsychologists are able to use their training in clinical psychology as well as their knowledge of neurological systems to aid in identifying these conditions. Educational Planning. As with other psychological assessments, neuropsychological assessments can provide important information for educational planning, especially for children. Documentation of basic intellectual abilities helps determine appropriate classroom placement (e.g., enriched environment, special education) for school-age children. Such tests also aid in the identification of children with severe intellectual deficits, such as mental retardation. Differences between intellectual ability and academic achievement are used in the identification of specific learning disabilities. In neurological conditions like Gilles de la Tourette's syndrome, neuropsychological assessments can be an integral component to individual educational plans by identifying strengths and weaknesses in academic abilities, as well as indicating co-morbid conditions like attention deficit disorder, hyperactivity, and obsessive-compulsive behaviors. impairments following accidents or injury. Levels of present functioning can be compared with estimates of pre- morbid functioning to assign a monetary value to present and future lost abilities. Treatment Outcomes Research. Neuropsychologists are trained in research designs and methods. With this knowledge they are able to assist in the design, implementation, and analysis of clinical research projects. They are often asked to apply their knowledge of cognitive assessment to suggest outcome measures, which may include standard neuropsychological tests or experimental measures. One example of this is quality of life measures, which are the increasing focus of clinical drug trials and neurosurgical interventions in neurological illness.